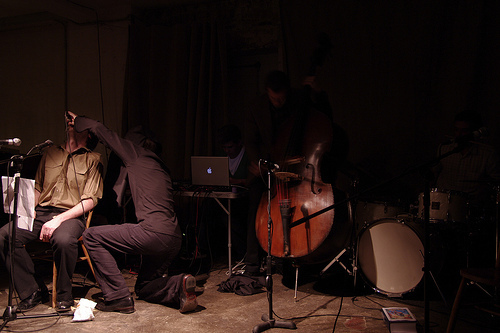 Mowgli is a quintet of improvisers/composers abandoned at childhood and raised by apes. They perform improvised music of feral romanticism and carnal desire. Mowgli is a band from squib-box.